Monetizing the content requires various techniques for media protection. Nimble Streamer team helps streamers protecting their content via paywall capabilities which include hotlink protection, pay-per-view, geo-restriction, HLS AES-128 encryption support and some other features. Now we introduce DRM capabilities for live streaming via Verimatrix Video Content Authority System (VCAS™) support. VCAS pay-TV operator solution consists of combinations of the components optimized for a specific market segment. Based on a highly modular system architecture and efficient form factor, VCAS is inherently cost effective for the smallest deployment while scaling easily to operations with millions of subscribers. With VCAS, Nimble Streamer can be used for media encryption and delivery of live content. 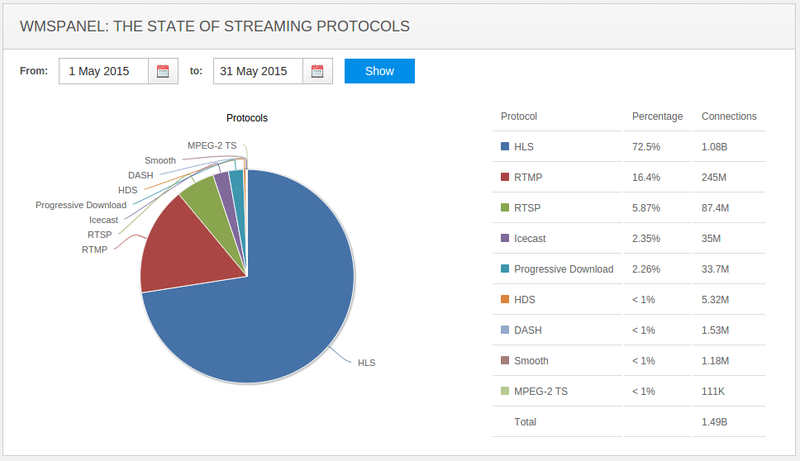 Having RTMP, RTSP or MPEG-TS input, it will produce HLS streams properly encrypted. Nimble is optimized for handling large amount of viewers and building robust infrastructure so it may be the only element which you need for delivery of media from content owner to consumers. As it's a freeware and it requires low amounts of resources, this would allow decreasing the cost of ownership for your solutions. Let's see how you can set up Verimatrix VCAS with Nimble Streamer to protect your content. RTSP streaming still has its share among other protocols for playback and streaming from some of the encoders, especially from cameras. It's an opened technology available via RFC so companies widely use it for certain use cases and scenarios. So Nimble Streamer now has support for RTSP protocol as well. So having one input stream, a streaming administrator may get 5 different outgoing streams to support various client types. Let's see how this can be set up.